Recently we had a client Mr. Swami from Chennai who wanted to modernize his parental home to suit his current lifestyle. Mr. Swami after having worked in Silicon Valley in the US for a while decided to settle in Chennai with his family. His parental home was a sea facing bungalow with a typical floor plan reminiscent of the time when Chennai was known as Madras. Since its the heart of every home, the client wanted the kitchen to be renovated first, and being quite spacious the family was looking to use it as a dining space also. 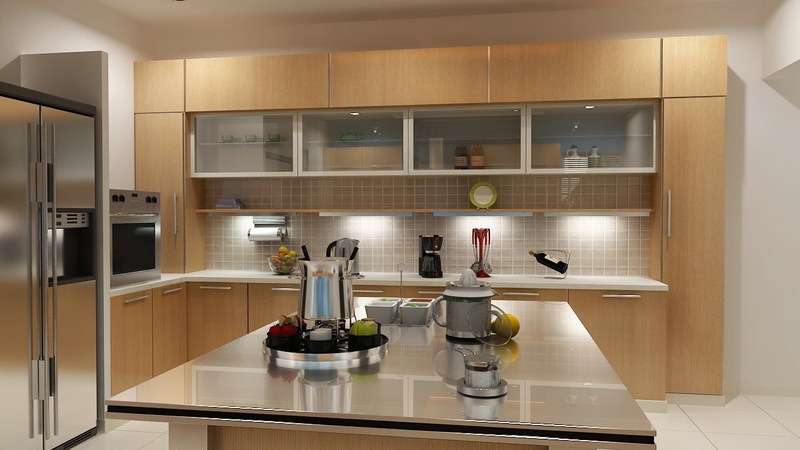 A straight counter along the longer length of the kitchen was proposed and approved by the client. Storage was provided at the top and bottom and along with a hob in the same counter. We proposed a rectangular island in the remaining area so that it would give us an extra 25% counter cabinet space and also serve as dining. An island needs to cover an area of 10% of the total square footage of your kitchen and no more. It is wise to max out your storage space when planning your kitchen island. Space, electrical access and plumbing are main considerations for a kitchen island. There are a variety of versatile uses for the island. Islands designed with an integrated dining table at one end fare a little better, but you still must have the right table base for maximum leg comfort. Here’s what to consider. Allow 24 inches for each chair width and a minimum table width of 30 inches for comfortable seating. While using island for extra seating space, comfortable seating height is 24-26 inch for a 36 inch height island. Some prefer 30 inch seating for a 40-42 inch island. Whatever the height provide 12 inch knee room for seating. There are several versatile uses for an island. Add a cook top to your island. A flat stove built into the island is called a cook top. Stove oven combinations can also be built into the island. Electrical and gas lines must be brought up from the floor, through the crawl space (or through the concrete slab depending on your home). Things You Need to consider while choosing a kitchen Island! Be realistic about how large a center island you should squeeze into a room the size of your kitchen. Do not let the shape of your kitchen dictate the shape of your center island. Fess up to being a small appliance lover before the cabinetmaker builds your center island. Aim not to end up with ‘ducks-in-a-row’ seating at your breakfast bar. Know your food prep and cooking habits. Look to the period of your home for design details to accent a center island. Consider ergonomics while designing the breakfast bar. 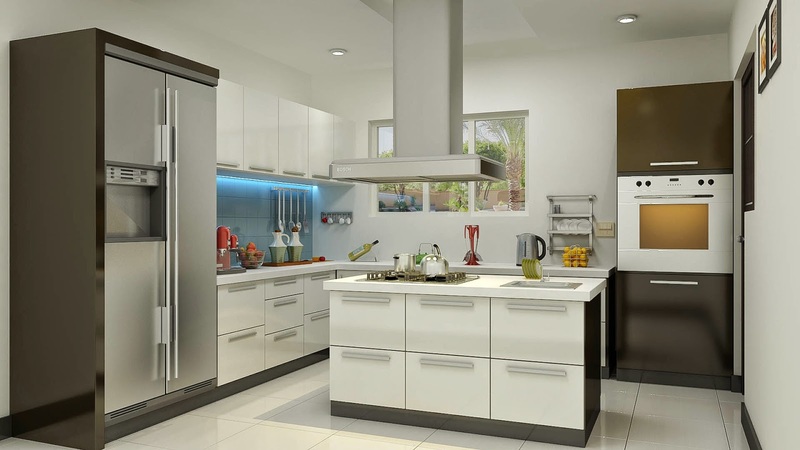 If your island will include a cook-top, select a heat-resistant material for the counter top. A kitchen island can help define a floor plan. Down vent an island cook-top to preserve a world-class view. Customize your island to fit your needs. Use an island to add an element of fun and individuality into your kitchen.